More than 29 units were sold at the weekend launch of the 117-unit Jui Residences at Serangoon Road. The total number of units sold accounted for about 25 per cent of the total number of units at the development. The freehold development offered by Malaysian-listed property developer Selangoor Dredging Berhad, is being sold at an average price of about $1,700 per square feet (psf). The developer said that the “strong interest” in Jui Residences stems from it being a “freehold development at leasehold prices”. Most of the units at the single 18-storey tower which have been snapped up are one-bedroom units of 431 to 463 sq ft which are priced from $700,000; as well as two-bedroom units of 657 to 710 sq ft priced from $1.1 million. There are also three-bedroom units of 883 to 1,001 sq ft from $1.47 million. The new development sits on the site of the former National Aerated Water Company bottling factory, and will incorporate the main building of the historical factory into the façade of the new development. 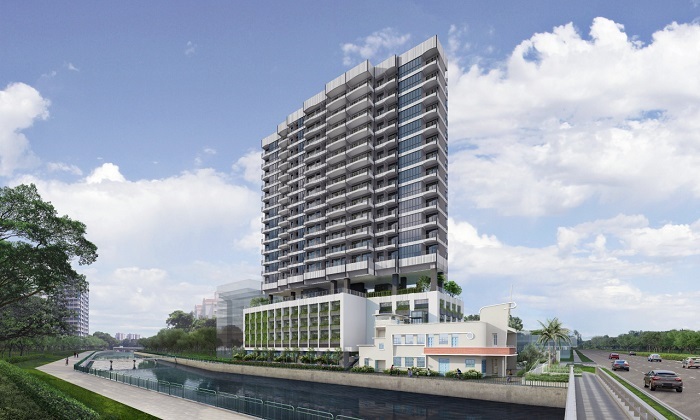 Jui Residences faces a wide frontage of the Kallang River, which is being rejuvenated. Jui Residences is expected to be completed in 2022. The Central Expressway (Abbreviation: CTE) in Singapore is the major highway connecting the city centre of Singapore with the northern residential parts of the island, including Toa Payoh, Bishan and Ang Mo Kio and further onwards to the Seletar Expressway and the Tampines Expressway. Situated just 10-15 minutes walk from Boon Keng Market, you can easily find top ratings in FourSquare, hungrygowhere, and burpple. All the famous Singapore delicacies can be found in this market, at a setting and atmosphere not easily found in the highly developed and urban Singapore landscape. Other finds includes quaint hardware and clothing stores, fruit sellers and snacks peddler. Bendemeer Ville is well-loved by many residents in the area. Even people living outside the district will visit this market to settle their grocery needs and food cravings. URA takes a very selective and practical view and approach on conservation, and not all buildings are suitable or qualify for conservation efforts. A list of comprehensive and strict criteria has to be met, mainly the building’s architecture, history, social influence, rarity of the type and social and environmental factors. Many bids have been received for this rare freehold development and Selangor Dredging Berhad (SDB) managed to secure Jui Residences Land Sales Price at S$47 million. On top of that, another $22.6 million in additional to the land bid price is payable to the government to made changes to the zoning of the land to residential development from previous industrial status. Looking For a Singapore Home Loan? Don’t worry, iCompareLoan mortgage broker can help you compare home loan Singapore fast and help you secure a loan package that perfectly meets your needs. Jade Scape is a condo development sitting on a prime location and with amazing facilities that you should not miss out on. So why not trust iCompareLoan mortgage broker to guide you through the entire process of loan comparison and application? They simply are simply one of the most reliable and cost-effective brokers you’ll ever find in Singapore.